Room sharing is the devil. Don't ever have your kids share a room. Avoid room sharing at all costs. Stock up on wine and chocolate. Just kidding. Kind of. You'll want the wine and chocolate anyway. The truth is, room sharing is probably not ideal unless you have kids who really function better with a roommate than one without. 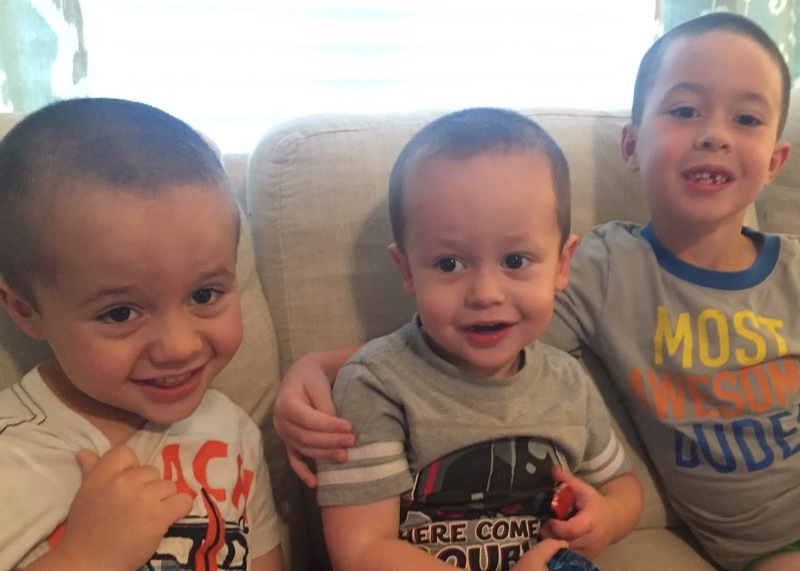 3 of our 4 kids function better on their own. Too bad for them because in our current stage of life, it's just not feasible for our kids to have their own bedrooms. But it can get tricky and can rock the boat sometimes with your perfectly scheduled Baby-wise babies. 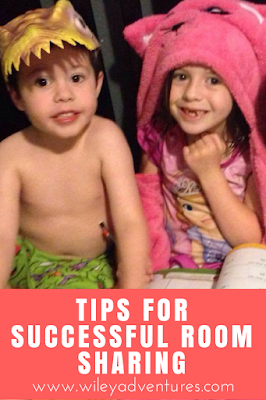 Our kids have shared rooms for a while now and I have found out some things (the hard way) that might make things a bit easier if you are looking to have kids room share. As parents, you need to decide what your expectations will be at bedtime and clearly communicate it to your children. If they are younger, you'll need to establish your expectations by disciplining accordingly. We have our boys (our current room-sharers), go potty before bedtime, and then we expect them to stay in their beds the rest of the night. We also expect them not to get in the others' bed or to keep the other from going to sleep by talking or playing. Also, we never never wake a sleeping brother. Don't forget to think through what the morning should look like. Do they need to stay in their beds till you come get them? For our boys, Fischer wakes up a lot earlier than Shepherd and so we let him quietly come out so Shepherd can continue to sleep. Just like you do with your babies in their non-shared rooms, establish your bedtime routine and stick with it. Consistency is key for either situation. Continue to communicate your routine to your kids. Our routine is bath, family worship, reading time, potty break, bed. Figure out what works best for you and stick with that! White noise has SAVED US when it comes to room sharing. It helps set the environment for sleep and helps to cover up little noises that come with someone else sleeping in the same room like tossing in sleep or even if one wakes in the night. I highly recommend a noise machine! If you have multiple kids and have options for room sharing, consider the different personalities and which ones would room best and SLEEP best together. My husband and I were just considering this lately and are thinking about making a change to our current situation. Whenever we started out room sharing in any of the scenarios we have had, our kids surprised us with how well they did at night and also with how AWFUL they did at nap times. It just never worked for us. I don't know if it was the light or just being more sleepy after a full day, but we have never been very successful with room sharing during naptime. We solved this problem by setting up a pack n play in our bedroom and separating them for naptime only. So, if you try it and it flops during day naps, know you're not alone and set your pack n play up! Even though room sharing might be considered a necessary evil, I do think there are benefits for siblings and I think it is manageable!